The holidays are that special time of year when we get together with family and enjoy company. But unfortunately, not everyone has that luxury. It may be because you don’t have family, or you’re living far away and are unable to travel home. Or perhaps, you’re just not connected to your family. And then perhaps there’s no boyfriend or girlfriend to tag along with when they visit their family. Whatever the case may be, the holidays are coming, and you don’t have any foreseeable plans to be in familiar company. That doesn’t mean you can’t enjoy it. No matter how old you are, there are still satisfying ways to enjoy the holiday season by yourself. 1. Go to local holiday events. There’s bound to be fun holiday events going on around your town. Look up some events that you might be interested in and check them out. You can go with a friend, or this can be your chance to meet someone new! 2. Spend time with friends! If you can’t spend the season with your family, you can always share it with a friend’s family. Or you can spend it with a group of friends and make your own family fun. 3. Go all out for gifts. If you have to mail your gifts this year, then make it worth the money. Have some creative fun packaging your gifts. Make the task of buying or making gifts an adventurous one that you’ll enjoy. 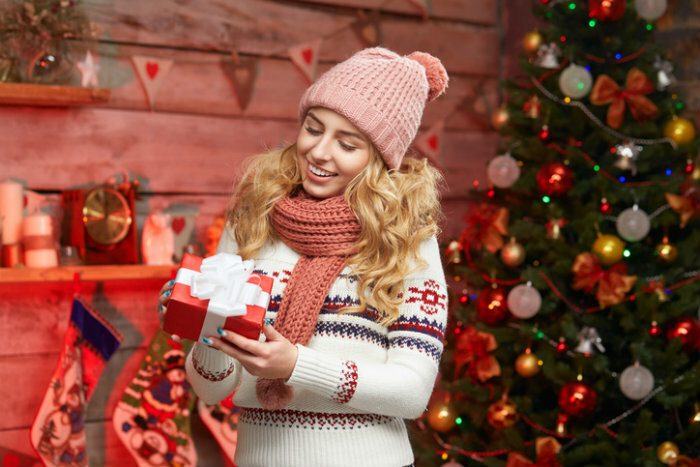 You can go shopping at the local and exotic farmer’s markets, create a theme for your gifts, or make a fun trip to the mall with your friends. 4. Do something you’ve wanted to do by yourself. If there’s something you’ve wanted to do and something that you don’t need or want company for, this is the perfect time to do it! Go on an adventure that is catered just for you, or maybe just spend your time off work catching up on some reading or watching a TV show. This is your chance to veg out on Netflix! It’s also the best time to try something new. Go somewhere you’ve always wanted to go and meet some new people. As a single, maybe you can even stay with a host family in another country and experience Christmas in a whole new place. Christmas time is the perfect time to give the gift of your help. Find some nonprofits or organizations where you can volunteer. You can spend your time making the holidays a little bit better for the less fortunate as well as for you. 7. Get some much-needed rest. This is your chance to sleep in and take naps all you want! The best part is, is that you don’t have to worry about entertaining anyone. The holidays don’t have to be a time of feeling sorry for yourself. If you view a solo holiday as an opportunity to seize rather than a misery to weather, you can create an experience that you’ll look back on fondly.